Successful results of Sofosbuvir-Based Treatment of HepC! 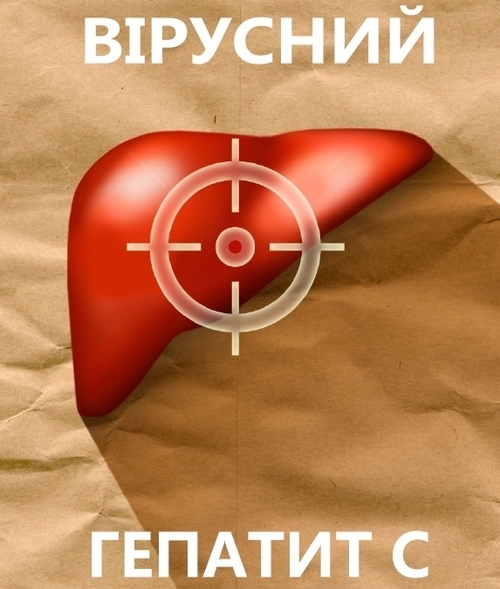 It has not been long since Ukraine first started recognizing sofosbuvir as a highly effective drug for the treatment of hepatitis C virus (HCV); and only several months ago sofosbuvir was included into the National Drug Register and finally was listed in the tenders for the procurement of medicines within the state budget, which are first carried out through international organizations (in particular though the United Nations Development Programme (UNDP)). While the state sector is only getting prepared for the long-awaited treatment with sofosbuvir, the Alliance for Public Health (hereinafter–Alliance) reports on the first successful results of treatment with this innovative drug. In 2015, Alliance was the first in Ukraine to launch the program of sofosbuvir-based HCV treatment for 1,500 members of vulnerable populations, mostly for people with HIV/HCV co-infection and people who use drugs. Thanks to the cooperation with the Ministry of Health and support of international donors, as of 1 February 2016,379 patients, including 366 those with HIV/HCV co-infection, already accessed the effective treatment. 203 patients have already completed their treatment courses! As per the set standard, 12 weeks after completion of the therapy patients are to go through a follow-up examination – and it shows that in 90% of those who receive treatment HCV is undetectable. This is a huge step forward as compared to the old treatment regimens (peginterferon + ribavirin), when the indicator of successful treatment outcome was no more than 50%. After sofosbuvir proved to be effective in the pilot HCV treatment program implemented by Alliance, in 2015 the drug was included into the Unified Clinical HCV Treatment Guidelines. Within the Alliance treatment program, Ukrainian doctors have a chance to consult with international experts and participate in trainings on the innovative international practices of hepatitis treatment. As for the patients, they get not only drugs, but also social support of non-governmental organizations, which allows ensuring higher adherence to treatment and increases the probability of successful treatment outcome. In January 2016, the second phase of Alliance HCV treatment program started, which will cover at least 500 patients. We hope that the recently announced tender for sofosbuvir procurement with state budget funds through international organizations (UNDP) will be held in a transparent and effective manner, and the price for the drug will not exceed Alliance procurement price for 2015! In 2014, Alliance managed to negotiate significant price reduction with the manufacturer, which allowed for the first time in Ukraine to procure sofosbuvir at the price of USD 900 per course (in some countries the price for such treatment course may exceed USD 80,000 (!)). It should be noted that it were the activities initiated by Alliance, such as the all-Ukrainian “Demand Treatment!” advocacy campaign and the innovative treatment program, which encouraged not only concerned civil society advocates but also public officials and doctors to talk about the HCV epidemic, with the National Targeted HCV Treatment Program finally approved. We realize that it is only the beginning. The patients who receive or are expected to start the therapy represent only a small share of patients who urgently need treatment. But the first steps have been taken, and it gives hope to thousands of patients with hepatitis C in Ukraine. The Alliance for Public Health continues systematic efforts to advocate for the interests of people who are in need of life-saving treatment both at the national and international levels. Previous Alliance Distributed 14 Million Condoms in Ukraine Free of Charge!